She focuses on the angle that every woman has that “thing” they want smaller, tighter or just different – very realistic and very relatable. Dr. Kauvar treated her inner and outer thighs over the summer, and the result is an in-depth look at the treatment process with a very positive take-away. Our corporate public relations agency secured this opportunity as part of our CoolSmooth applicator and thigh indication pitching efforts. Elle.com has 4.6M unique visitors and 23M total views each month. In addition, the writer was so happy with her CoolSculpting experience, that she agreed to film patient testimonial videos for us! The English version will soon be posted on CoolSculpting.com and our social media platforms, and the Spanish version will be posted on es.CoolSculpting.com. Both versions will be available on CoolNet Advertising Resources and the Microsite Builder Site. Of note, there were multiple Spanish-speaking consultants at the video shoot who oversaw the translation. CoolSculpting is the device which has allowed doctors to freeze fat cells away from the abdomen and other parts of the body — except for the thigh. The recently FDA approved CoolSmooth applicator now makes that a reality as well. If you gathered 25 women in a room, you might be surprised how many of them have had breast implant surgery. It isn’t just for Hollywood starlets and top models, the neighbor next door may be part of a growing number of women who want to feel better about their look. In 2011, more than 300,000 breast augmentation surgeries were performed in the United States and the numbers continue to climb each year. Still, women have questions about what to expect before and after the operation, along with concerns about size and shape. Dr. Ned Snyder of Austin, Texas guides us through the process to a new you, describing the Top 5 Things You Need To Know Before A Breast Augmentation. #3 – Who Is the Best Candidate For A Breast Augmentation? - Women of all ages, shapes and sizes are seeking breast augmentations and experts say there are good candidates from nearly all walks of life. “Some are younger, like the 22-year old woman who has never been pregnant and just wants to look better in a bathing suit,” says Dr. Snyder. He says the majority of his clients are women who are a bit older, who are done having children. “They are past the pregnancy years. The childbirth has really taken a toll on their body and the breast has deflated. They want to get it fixed.” This breast augmentation might be a stand alone procedure or part of a bigger Mommy Makeover, involving several procedures like a Tummy Tuck and liposuction. 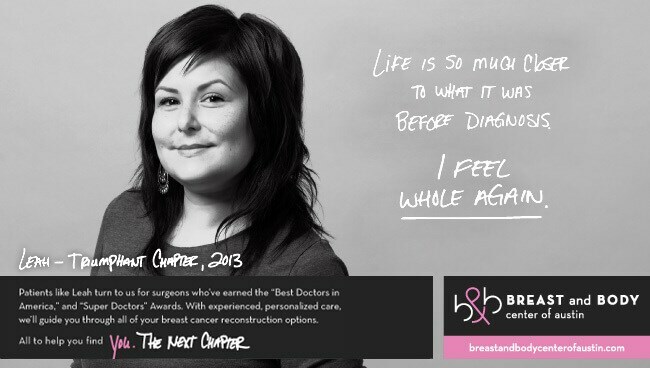 #4 – What Can I Expect During The Breast Surgery? - You can expect relatively little downtime with breast augmentation. “Breast augmentation is a simple procedure. It takes about an hour or so and usually the patient goes home the same day,” says Dr. Snyder. The patient can be back to normal activities in 3-5 days, according to experts. More strenuous workouts, like jogging could take longer to recover. New, long-acting pain medications injected into the muscle during the procedure help patients recover with greater ease. #5 – Will There Be A Lot Of Down Time? Will I have To Miss Work Or School? - Breast augmentation candidates may be surprised to learn that they won’t need a lot of recovery time post-surgery. “If we do the procedure on Thursday, most people can be back to work by Monday or Wednesday at the latest. Our patients are usually feeling fairly good within a few days,” says Dr. Snyder. “It really isn’t a lot of downtime and most women say they wished they hadn’t waited so long.” Women don’t have to feel embarrassed about wanting a new look. Insecurities or body image worries can be swept away for good. You can feel good about your decision to get implants because so many other women are making the same choice. “Many times it is just about getting your body back to a place that it once was, where you feel better and look like you once did.” says Dr. Snyder. AUSTIN, TX – Jan. 30, 2014 – The Breast & Body Center of Austin today announced that Dr. Ned Snyder, IV has been selected by their physician peers across the nation as Best Doctors in America for 2014. The Best in Doctors recognition is awarded following exhaustive and impartial survey of fellow physicians nationwide. Only the top five percent of all physicians in the United States earn this top recognition. A consensus of support must be reached by the peer physicians in order to be included in the list and physicians cannot apply for nor pay for inclusion. Ned Snyder IV, M.D. is the founder of The Breast & Body Center of Austin and is board certified by the American Board of Plastic Surgery and an active member of the American Society of Plastic Surgeons and the American Society of Reconstructive Microsurgeons. Snyder is the original DIEP surgeon in the Austin area and specializes in DIEP flaps and microsurgical breast reconstruction. 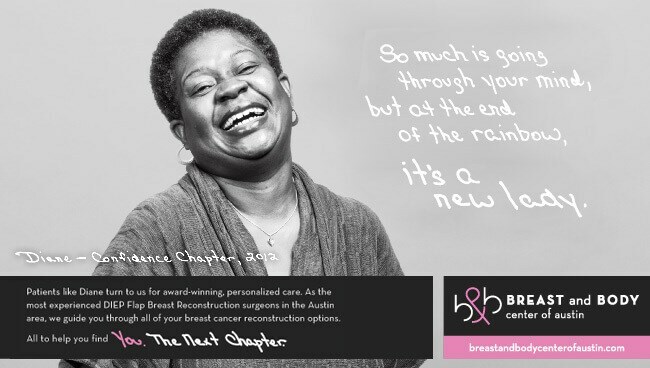 Since 2005, the Breast and Body Center of Austin has been committed to creating healthier and happier lives in the Austin area. Collectively our surgeons bring over 25 years of experience in complex hand, cancer reconstruction and cosmetic surgeries. See some of Dr. Snyder's videos featured on The Plastic Surgery Channel.